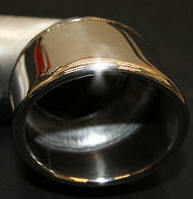 Highly polished stainless steel trim rings brighten up your exhaust outlet. Really stands out against the black exterior surface. Easy peel and stick mount with 3M automotive tape. one for each exhaust port. 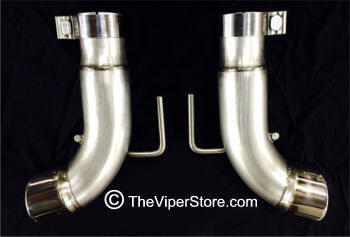 Custom designed specifically for the Dodge Viper SRT-10 2003-10 Vipers Coupe and Convertible. 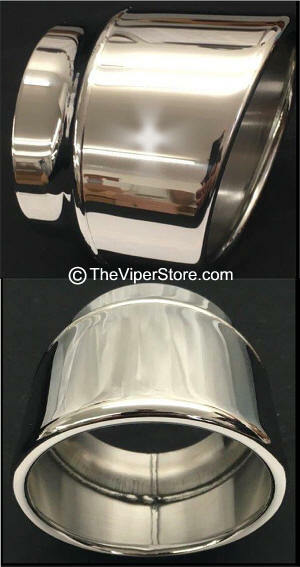 These come as a set of 2 Rolled Polished Exhaust Tips. You cut off your factory Tips and weld these ones on your tail pipe. Choose which size pipe you are hooking the tips up to 2.5" or 3.0". 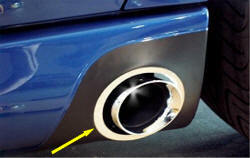 *Current Exhaust: is asking - What size exhaust do you have that these tips will be fitting to? 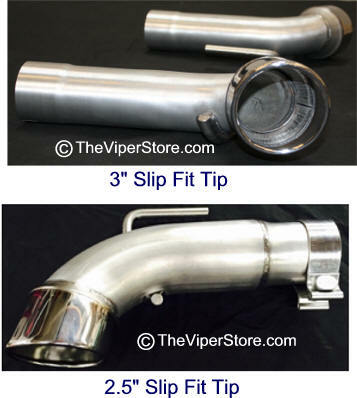 Eliminates the crossover pipe system and Reduces Heat inside the vehicle! 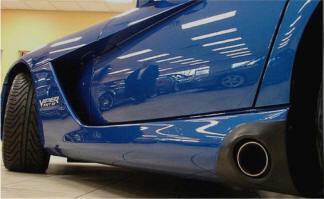 Belanger performance exhaust rolled replacement tips. 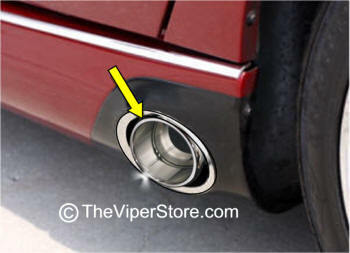 All they make are the world's best exhaust systems specifically for the Dodge Viper. The number one brand used in Viper racing! 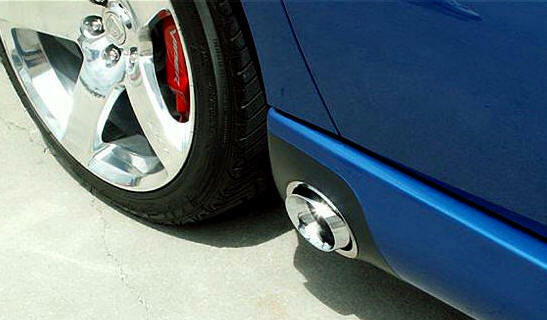 Simply remove your factory tail pipes and replace them with these. Slip fit NO welding needed. Eliminates stock cross-over pipes. Reduces heat in the cab. EASY Slip Fit onto Muffler! 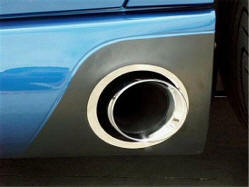 Includes two (2) High Polished stainless steel exhaust tips with hangers attached. GREAT for Cooling your Sills and driving compartment!